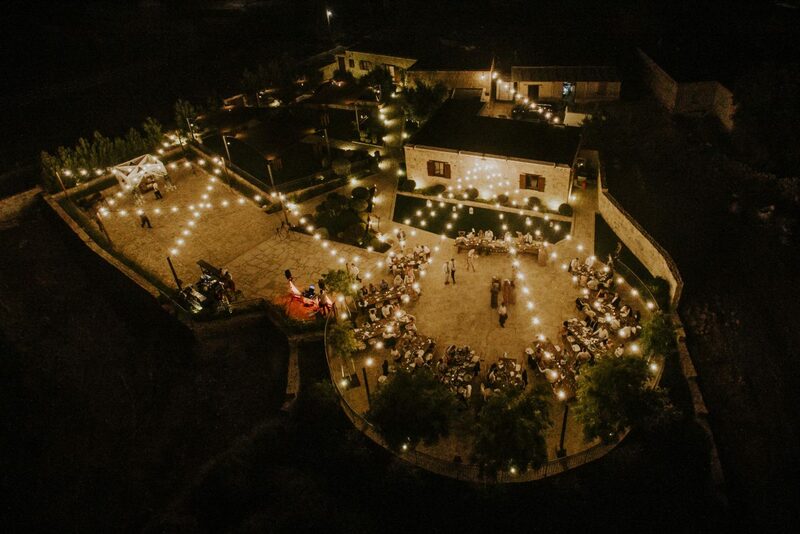 "You could not ask for a more unique and special place to carry out your wedding party. The stunning views of the Mediterranean sea, overlooking the Temple of Aphrodite, our buildings made of local stone and wood, but also the uniqueness of our Venue, away from prying eyes, ensure that your wedding day will pleasantly remain unforgettable to all of your friends and family… You can choose to make your orthodox wedding ceremony in the ancient church of Panagia Odigitria which is right across our property, a church of the 12th Century with frescoes saved from the 16th Century. Choose among menus of all tastes from our distinguished chefs. Select for your cocktail reception and dinner, Cypriot or International gourmet dishes, all made with the highest quality ingredients, served with style, that meet the requirements of the most demanding customers. At Liopetro Venue you can make the wedding of your dreams … Make your wedding ceremony special for you and your guests, in a magical, serene, traditional landscape with a rustic touch that is needed to show off the luxury through the ancient Cyprus architecture … Combine your ceremony with high quality canapés, cocktails and of course enjoy some of the best menus in Cyprus, made especially for you, always using only the finest ingredients… Our professional wedding planners can prepare everything for you, so that you won’t need to worry about anything! In order for us to make Liopetro Venue even more special, we do only one wedding reception per day. 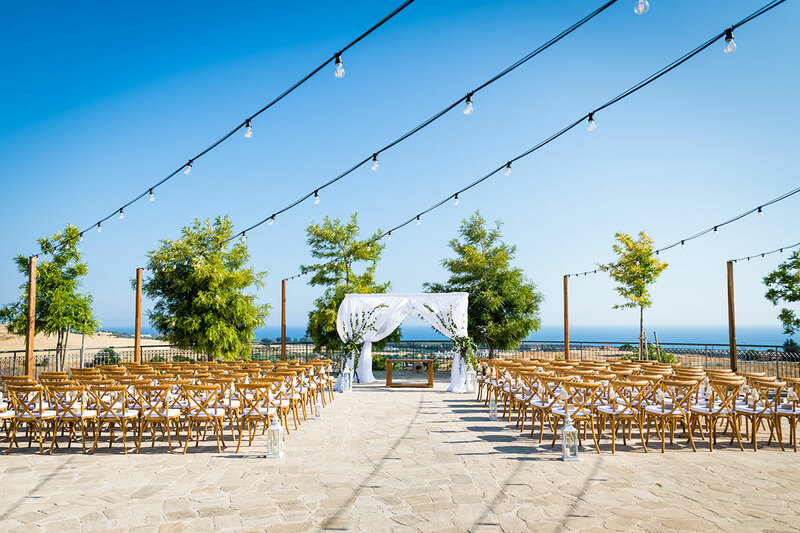 So your special day is just for you…"
Located in Kouklia village, the ancient capital of Cyprus and the birthplace of Aphrodite the Goddess of Love, made completely from stone and wood, Liopetro has breathtaking views of the Mediterranean Sea. 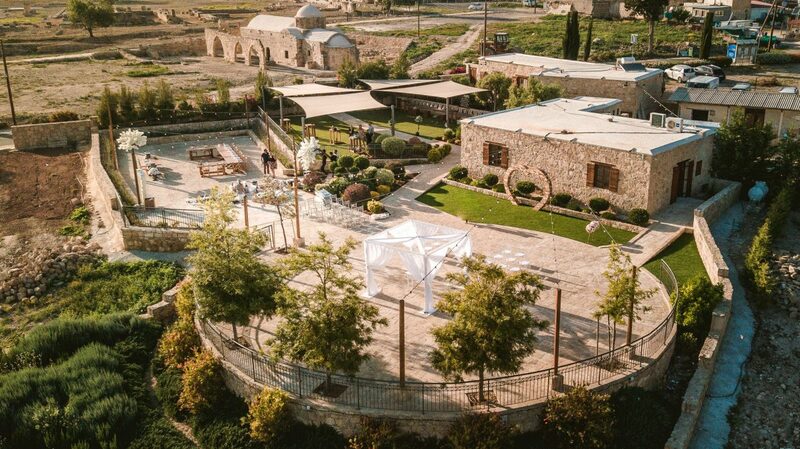 Surrounded by beautiful gardens and with a serene, quiet, magical atmosphere, Liopetro Venue is the latest exclusive wedding venue in Cyprus. Set in the heart of the Cypriot countryside on archaeological grounds and steeped in history, Liopetro is situated in one of Unesco’s World Heritage sites. During the Roman period Kouklia was the centre of activities of “KoinoKyprion”, a nationwide religious organization responsible for preparing and carrying out the ceremonies relating to the worship of Aphrodite, various other Gods and the Emperor. The Venue is based on the full renovation of two old farm buildings aged back in the 16th Century. Meticulous work is being done to build out the venue using only traditional building materials and techniques. At Liopetro you can immerse yourself in local Cypriot charm, away from prying eyes. We offer total privacy and only host one reception/function per day; offering each of our couples exclusivity for a bespoke wedding day. 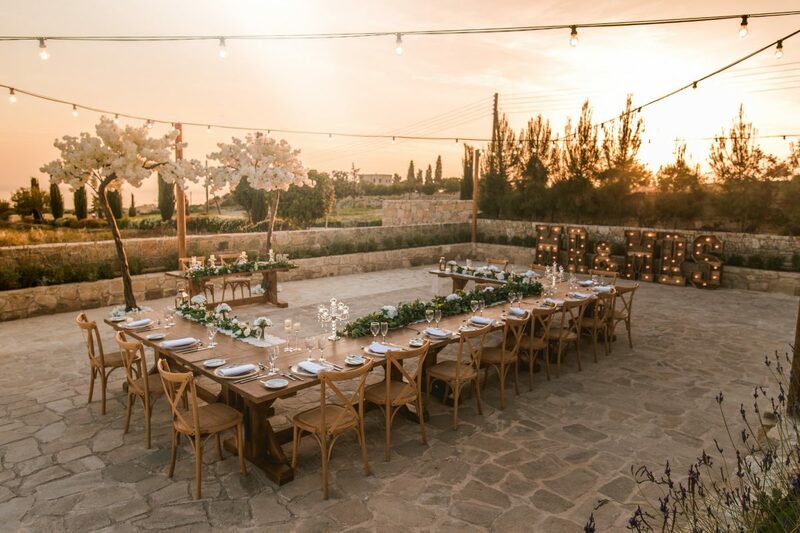 Whatever your event, occasion, or celebration, we will give you the best of both worlds:- surrounded by the peace and tranquillity of timeless countryside, yet just 15 minutes from the vibrant and historic town of Paphos with its bars, shops, hotels and transport links. It maybe the Mediterranean backdrop that takes your breath away, but it’s our dedicated professionals who make every occasion so memorable. Tell us about your experience and wedding day at Liopetro Venue.